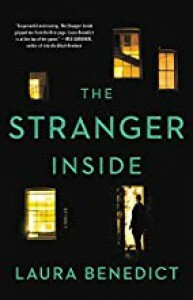 The Stranger Inside has an interesting premise and starts out well enough with Kimber returning home to find the locks changed and a stranger living in her house. From there, it goes downhill at a rapid pace. Now, going into this one, I expected it to require at least some degree of suspension of disbelief, but this goes way beyond that. As far as plot twists, this one has them in spades, and there's no shortage of suspects either. The problem is that there is so much crammed into the conclusion that it just becomes convoluted. I think I would've liked the ending better had it just stuck with the person in the house and his reason for being there rather than going over the top the way it did. All that aside, my biggest problem with this story was Kimber. She has to be one of the most unlikable protagonists that I've ever come across. I'm all for flawed characters and unreliable narrators, but this woman has absolutely no redeemable qualities. There wasn't a single thing about her to inspire even an ounce of empathy. In fact, I spent a good portion of this one feeling like karma was finally going to get its ounce of flesh from this character. Instead, it goes an entirely different direction. In the end, I can't say that I liked anything about this one after the first couple of chapters. 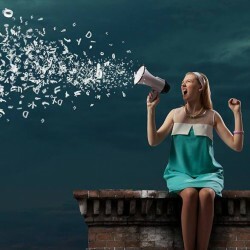 I'm sure many will enjoy this story, but I definitely am not one of them.